The Hideaway offers 2 over-sized bedrooms, complete with expansive closets in both rooms! 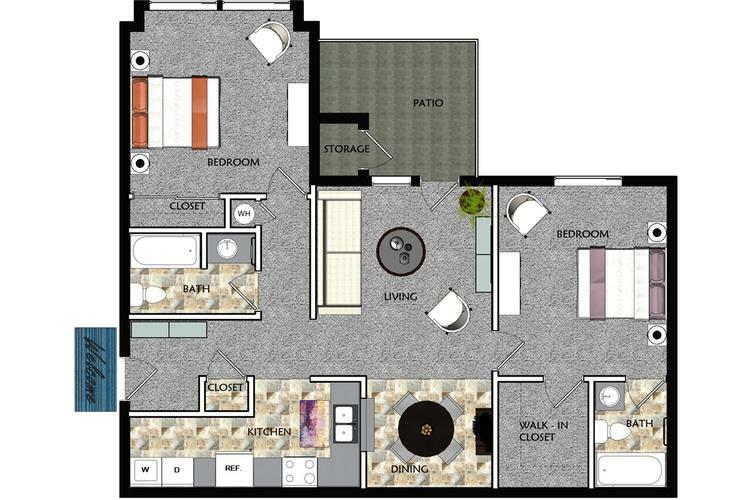 This floor plan features 2 full bathrooms, laundry area with washer and dryer, L shaped kitchen, dining room and living room layout just perfect for entertaining. Come see why the Hideaway is the perfect 2 bedroom apartment in Shawnee, KS to call home! Second and third floors offer a balcony located off the living area with beautiful French doors. 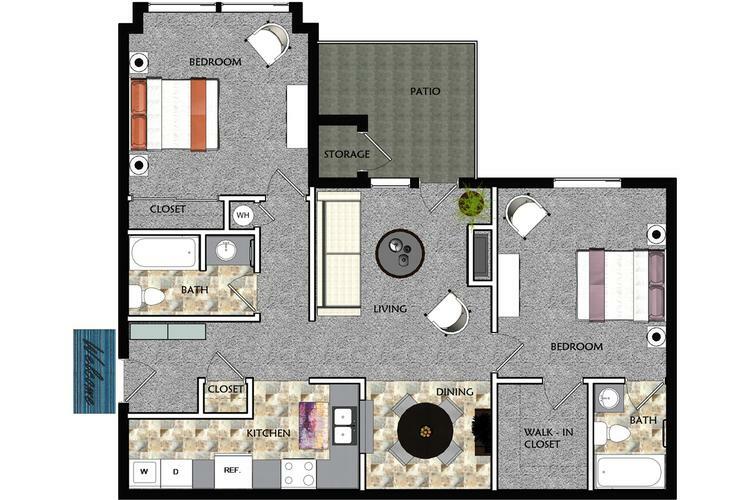 The Bungalow is the perfect two bedroom two bath floor plan offering two exquisite bedrooms on opposite ends of the living room, two patios (front and back), large living room with fireplace, kitchen, and plenty of storage. Our two bedroom cottage offers privacy and comfort, you’ll love relaxing on your private patio with beautiful French doors. What are you looking for with your new two bedroom apartment home? Great closet space in EVERY bedroom? Two Spacious Baths? 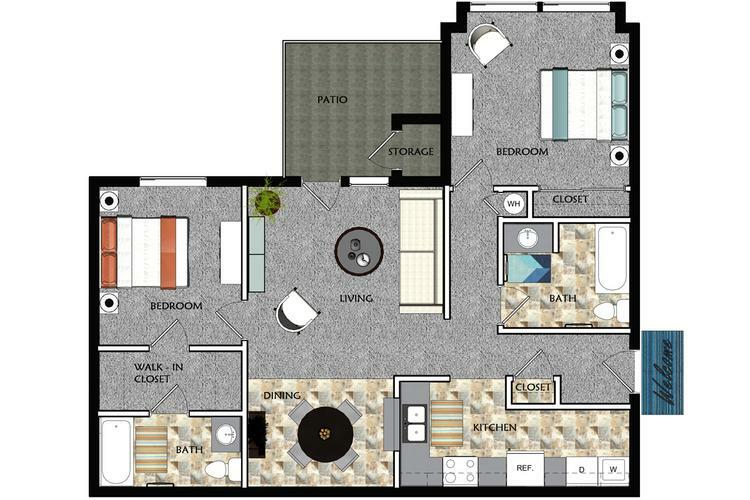 Open layout with separated living area, dining nook and private patio or balcony? We’ve got everything on your list covered at Prairie Lakes! 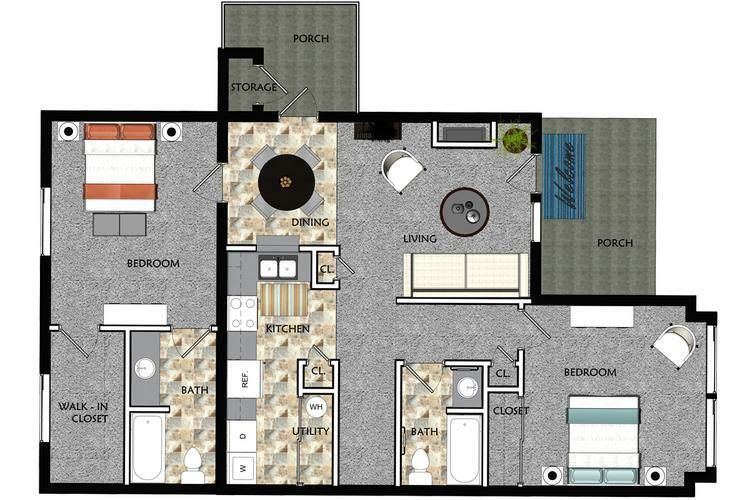 The Sanctuary floor plan is our ever-popular roommate style floor plan. The master bedroom features a huge walk in closet and private bathroom and the second bedroom features an over-sized closet and hall bathroom, and washer and dryer. You’ll love entertaining guests in your L-shaped kitchen and will enjoy unwinding after a long day on your private patio with beautiful French Doors! Fireplaces in select apartments.